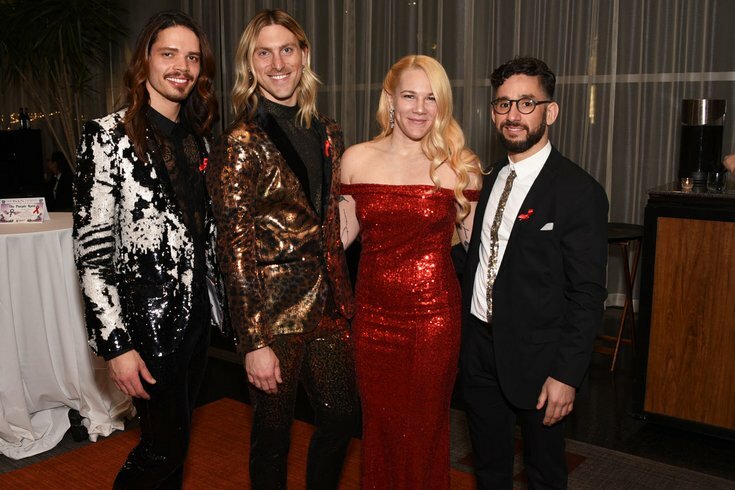 Sean Green, Garrett Olthuis, Sara Kelly and Fernado Ramos at the 20th Annual Black-Tie Gay Bingo, March 23, 2019, at the Loews Hotel. 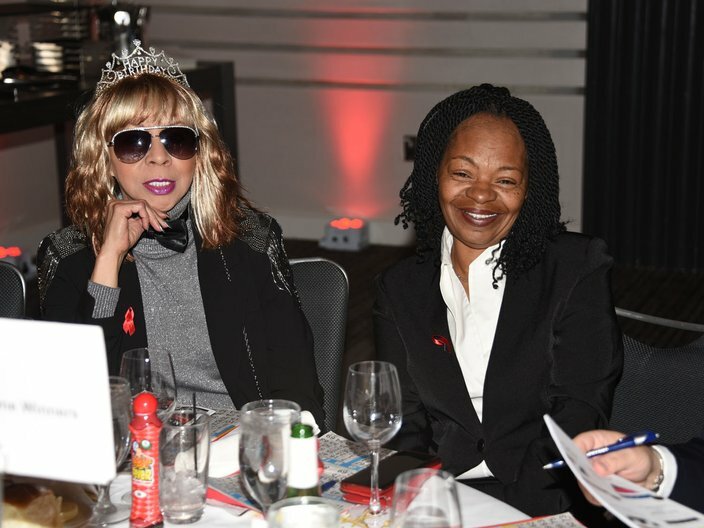 On Saturday, March 23, the Philadelphia AIDS Fund held their 20th annual Black-Tie Gay Bingo, the springtime event that raises money for the nonprofit’s mission to provide aid to regional HIV/AIDS organizations. Gays, drag queens, and allies packed the ballroom at the Loews Hotel for a night of bingo, dancing, cocktails and mingling. 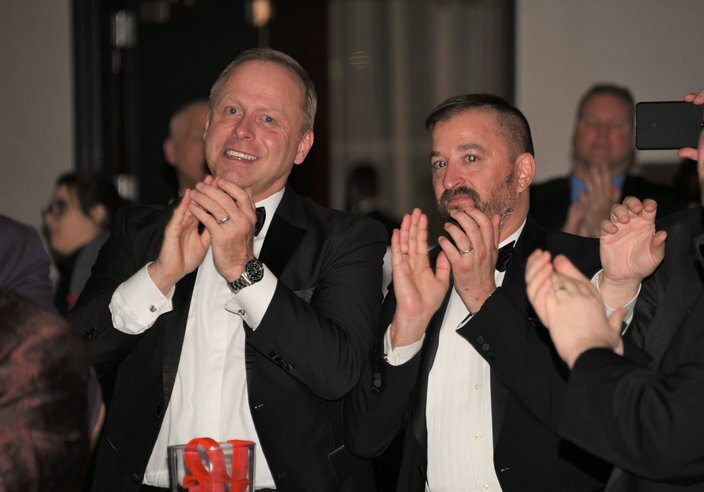 The AIDS Fund honored several people including Keith Jenkins, Favorite Straight Person of the Year; Stephen P. Carlino and Dennis R. Fee, Owners of Tavern on Camac & UBar, with the Founders’ Award Recipients; Mark Braverman, Extra Mile Award Recipient. Below is a series of photos from the fundraiser. 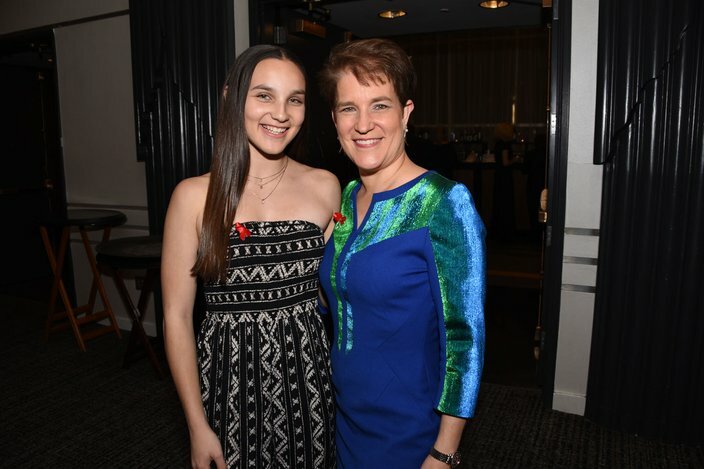 Meredith and Merrick Borine at the 20th Annual Black-Tie Gay Bingo, March 23, 2019, at the Loews Hotel. 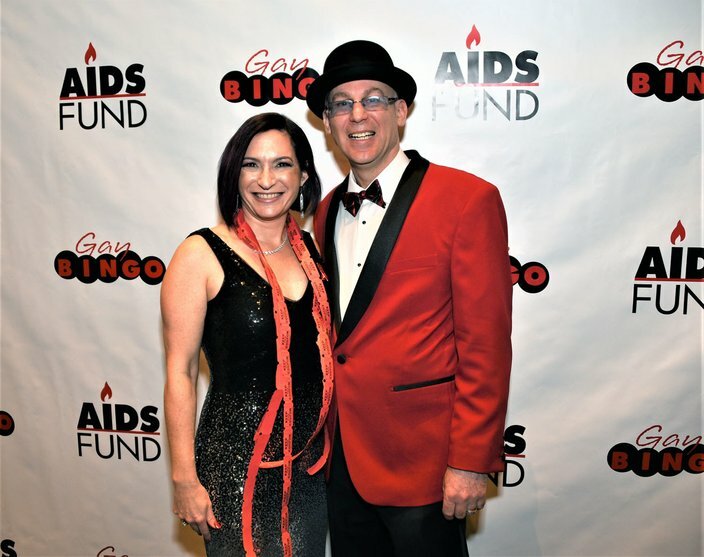 Sharon Sulecki and Sean Walter at the 20th Annual Black-Tie Gay Bingo, March 23, 2019, at the Loews Hotel. Gwen Bowman and Valorie Adams at the 20th Annual Black-Tie Gay Bingo, March 23, 2019, at the Loews Hotel. Hallie Bender and Cari Feiler Bender at the 20th Annual Black-Tie Gay Bingo, March 23, 2019, at the Loews Hotel. 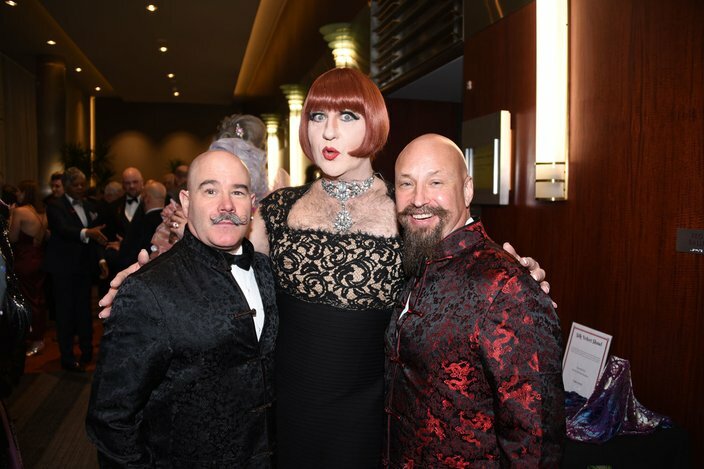 Sakura Allure with honorees of the Founder's Award - Dennis Fee and Steve Carlino, owners of UBar and Tavern on Camac at the 20th Annual Black-Tie Gay Bingo, March 23, 2019, at the Loews Hotel. 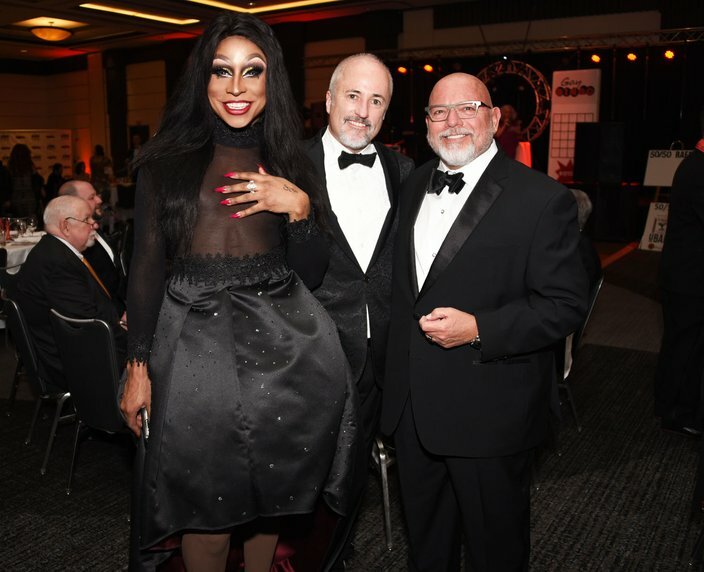 Robb Reichard Executive Director of AIDS Fund, Anita Manhattan and Keith Jenkins, honored as Favorite Straight Person, at the 20th Annual Black-Tie Gay Bingo, March 23, 2019, at the Loews Hotel. 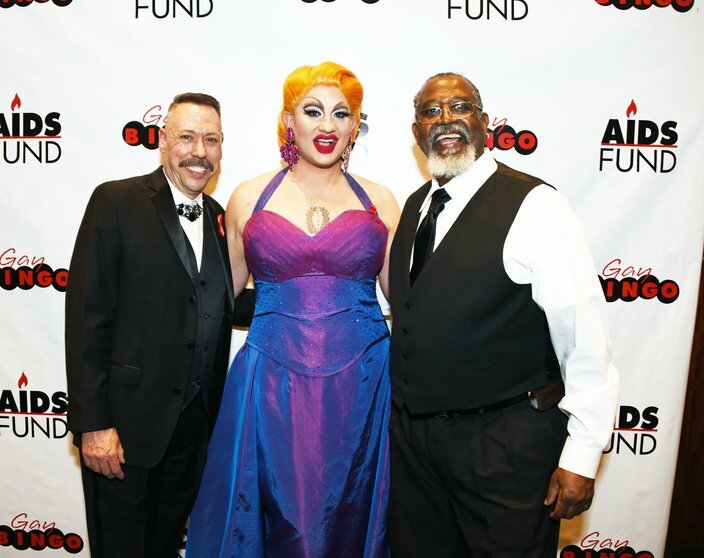 Henry Patterson, Carlotta Tendant and Chip Ellis at the 20th Annual Black-Tie Gay Bingo, March 23, 2019, at the Loews Hotel. David Wagaman and Jarrod Williams at the 20th Annual Black-Tie Gay Bingo, March 23, 2019, at the Loews Hotel.